A classroom doesn’t normally provide fodder for a lot of hit singles. Most musicians try to avoid school, or at least the jobs that attending school can lead to after graduation. But in this case, attendance paid off. In early 1966, while sitting in a Health Education class during his freshman year at San Jose State, John Byrne, lead singer for local group The Count Five, had half his mind on the lecture about psychosis and neurosis and half on a song he’d started working on that morning. As he began to drift asleep out of boredom, his friend in the seat next to him leaned over and said, “You know what would be a great name for a song? Psychotic Reaction.” Byrne took his friend’s suggestion and presented it to the band that night. 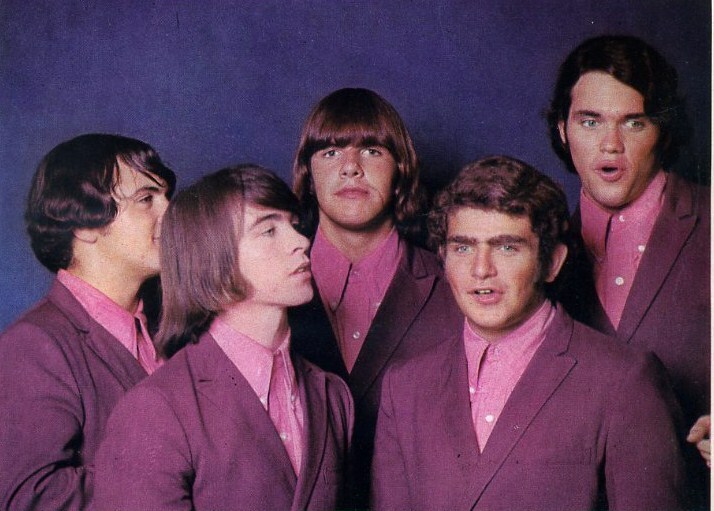 The Count Five, comprised of teens who attended (or graduated from) the same high school in San Jose, worked together on a Yardbirds-inspired arrangement and “Psychotic Reaction” was ready to rock. They played it at dances around town until a keen-eared local DJ sensed a possible hit and connected the boys with a small record company down in LA. 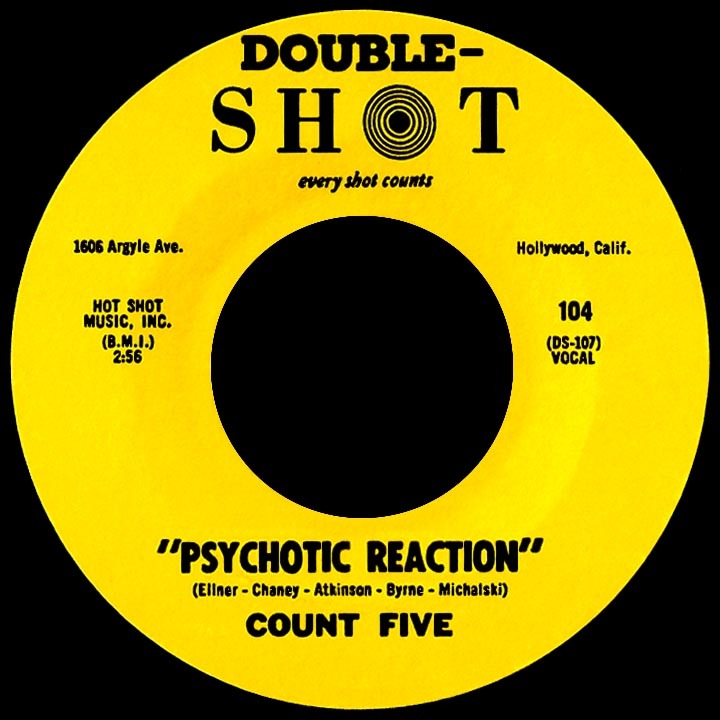 The band had already been rejected by a number of labels, but when they played “Psychotic Reaction” the owners of Double Shot Records flipped their wigs and said, “You’ve got a contract!” The single took over the California airwaves, and by late 1966, was the #5 song in the US. The group persevered for a couple more years, but after finding little success in the wake of their debut single, called it quits in 1969. All five of The Count Five — rebelling against the centuries-old cliché of the itinerant, wastrel musician — packed up their gear and went to college. So here’s the sound of garage starting to edge into psychedelia — time to shake down, before you break down.